Restoring smiles for long-lasting durability, function, and beauty. Crowns and bridges are recognized as fixed prosthetic restorations. Meaning that they are both cemented onto existing teeth or dental implants. They are used to entirely cover, “cap” damaged teeth or replace one or more missing teeth. At Denti Belli Dentistry, we only use the best materials in the fabrication of your new restorations to make sure your smile looks and feels natural. Porcelain crowns are needed when a traumatic accident or decay severely damages the majority of the tooth’s natural structure. The crown protects the damaged tooth by restoring its strength and function. Besides strengthening a damaged tooth, a crown can improve appearance, shape or alignment. 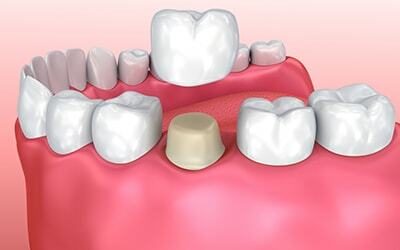 Dr. Michele Taylor only uses high-quality porcelain (tooth-colored) crowns to create natural-looking results while restoring your tooth’s anatomy, bite, and structure. Working closely with her dental lab, Dr. Taylor ensures your new crown fits, feels, and functions precisely with your smile, looking natural and lifelike. Hardly anyone will notice you’ve received dental work. Missing teeth? A bridge may be recommended by Dr. Taylor if you’re missing one or more teeth. They are an alternative tooth-replacement option when dental implants or dentures do not fit your needs or priorities. How does a dental bridge work? 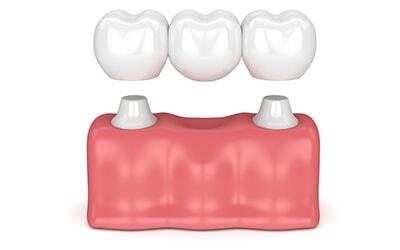 It involves cementing an artificial tooth between neighboring teeth by using multiple crowns. This placement covers up the gap (from the missing tooth) and is secure, so you can chew, speak, and smile with ease. If left unrestored, the gaps left by missing teeth will eventually cause the adjacent teeth to shift resulting in a bad bite or TMJ problems. Why Crowns & Dental Bridges? Eat, speak, and smile confidently. These restorative dental procedures are robust, rebuilding your smile’s function and allowing you to eat your favorite foods without pain and speak clearly without mumbling your words. Partnering with our pristine dental lab, we craft crowns and bridges to improve your smile’s aesthetics in many ways. They look and feel like natural teeth, blending seamlessly with your smile. Plus, bridges replace missing teeth. Unlike slipping and sliding dentures, crowns and bridges are durable and are securely added to your smile. They can last for a long time with the proper care and regular maintenance. Adapting to your needs to protect your smile's integrity. "I need some dental work, but I'm worried it'll be painful." With her kind, gentle demeanor, Dr. Taylor will do everything possible to make your treatment a painless experience. We also offer sedation dentistry for those who want to ease anxiety and forget about the procedure. "I can't afford the cost of dental crowns and bridges." 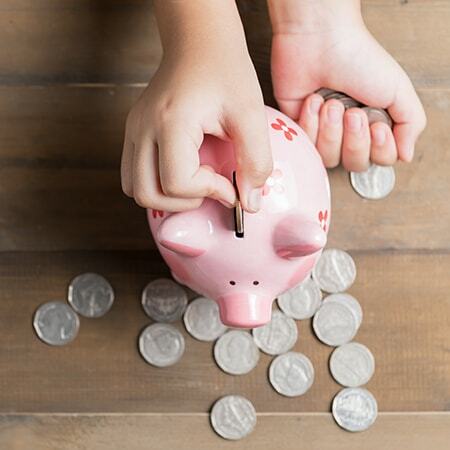 Denti Belli Dentistry has multiple financing options for you to choose from. 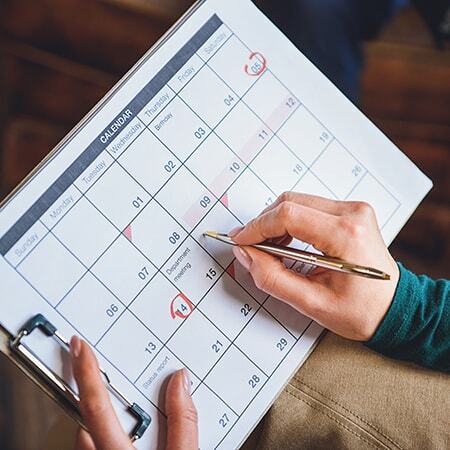 These options include but are not limited to filing insurance on your behalf, Care Credit, Lending Club, and an In-House Insurance Plan for those that do not have insurance. "How long will my crown or bridge last?" We want to help protect your investment! Which is why we only use the best materials and work with the best labs to ensure the longevity of your new restoration. As long as you keep up your at-home oral hygiene routine and visit our dental office every six months, your restoration can last up to a lifetime. "Crown Was Handled With The Utmost Attention To Detail!" I would highly recommend this dental practice. The staff is professional and my rush crown was handled with the utmost attention to detail. I have never experienced such thoroughness on an initial exam. What can I expect with the dental crown and bridge procedure? Getting a dental crown or bridge usually takes about two appointments to complete. First Appointment: The first visit involves prepping your tooth (crown) or adjacent teeth (bridge), taking impressions, and placing a temporary crown or bridge. Dr. Taylor will send your impressions to our dental lab where their skilled artists will craft and customize YOUR restoration. Second Appointment: Once the lab has completed your restoration, we will have you return for the second visit. This visit is usually shorter and involves removing the temporary, trying in your new restoration, making any adjustments necessary and cementing the final restoration in place. Does dental insurance cover crowns and bridges? Every dental insurance is different. Typically, however, dental insurance will cover a portion of the recommended service. At Denti Belli Dentistry, we do accept most dental insurance and are more than happy to file claims on your behalf. Give us a call to learn about the extent of your coverage. Not a problem! We don’t want insurance to prevent you from getting the care you need. The Denti Belli Dentistry in-house plan can help you afford treatment, which includes 20% off all dental procedures. Go to our New Patient page to learn more about the benefits. While bridges and crowns can last a lifetime, they can still develop decay around the margins of the restoration or they can sometimes fall out. One significant way to ensure the longevity of your new restoration is to practice good oral hygiene: brush twice daily and floss on a daily basis. It is also important to see your dental team regularly for check ups and professional cleanings. Schedule a complimentary consultation with Dr. Michele Taylor today!